Pinball machines have become almost entirely extinct in the wild. Once in a while, you may find one at some random bar or bowling alley. But even then, they are normally old and slightly broken. They aren’t the attention grabbing centerpieces they once were. Pinball FX2 brings the pinball table back to its former glory with three exciting tables in the Bethesda Pinball pack. 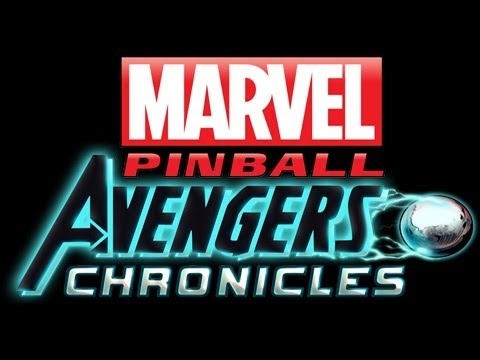 Pinball FX 2 has been working with major franchises for some time now to bring us new digital pinball tables on a regular basis. Zen Studios has worked hard to achieve an authentic look and feel, while also creating interesting tables that could only work in a video game. This newest release brings us three new tables from the world of Bethesda: Doom, Skyrim and Fallout 4. Doom – This stage is B.A. It completely embodies the feeling of doom. The table art is beautiful, the statues, sculptures,and holograms are spot-on and the music feels very epic. They offer two skill levels: Hurt Me Plenty and Nightmare!. Although I didn’t notice much of a difference between them, they were a nice nod to the real game. Fallout 4 – This table feels just like an RPG, offering character creation, a companion with a bonus and a rather in-depth leveling system. At first glance, this table looks empty and almost generic feeling, once I looked harder, I noticed all the details around the edge that set the tone. The design feels intentional: vast and empty. A great nod to Fallout. Skyrim – The parts they have chosen are well detailed and colored as every inch of this thing feels like Skyrim. You get to pick from five races and head out on to quests to level up. The beautiful thing about this being a digital table is that you can continue leveling up your character instead of starting a new one every game. Doom – The biggest downfall is the color pallet when things start to get exciting. During many of the missions, it adds a red glow to everything. This light throws everything off and makes the ball hard to see, leading to a lost ball sooner than expected. Fallout 4 – Several of the mini-games didn’t make sense right away and were over just as fast as they started. This is a huge letdown as these take time and effort to get unlocked. Skyrim –As mentioned above, this table looks and sounds exactly like Skyrim, but it feels bland and unimaginative. Skyrim is a huge world with iconic places and people. I know the dragon is the “big thing,” but they could have done a little more with the stage given the pool they had to draw from. If you have played any of the previously released Pinball FX 2 tables, then you know it goes without saying (even though I’m still saying it) that they always look great. Zen Studios has taken a lot of time to think each stage through and try to bring as much of the feeling of that game and its world as they could. Each table felt 100% like a pinball representation of its triple-A counterpart and not only was the table enjoyable to play but it sparked great memories of the original games. There is nothing like having fun while thinking about another time that you had fun. This is a true fan service for those who enjoy Bethesda’s games. Bethesda Pinball was developed and published by Zen Studios. It was released December 5, 2016, for $10.99 and can be purchased here. This copy was provided for review purposes.